Enjoy your trip from Madrid City, Toledo City or Avila City to Madrid Adolfo Suaraz Airport in a private vehicle with a English-speaking driver. Elegant Mercedes-Benz Luxury Van will be provided with water for all the passengers . 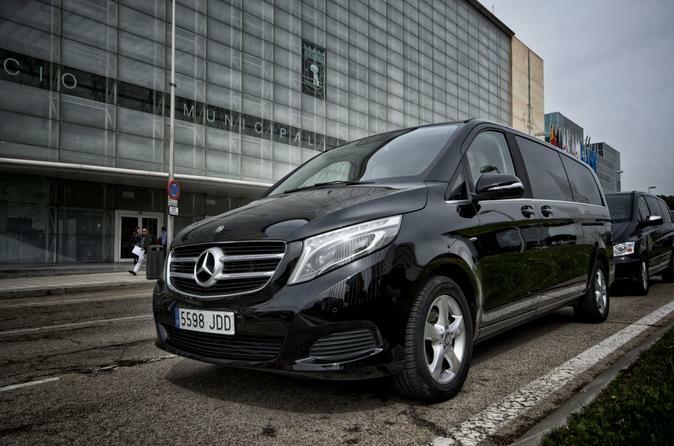 Enjoy a comfortable and a private transfer from Madrid City, Toledo City or Avila City to Madrid Airport in an elegant and fully equipped Mercedes Benz V/ Viano vehicle. Your knowledgeable driver will pick you up at your hotel or residence at the agreed upon time and will bring you safely to Airport Madrid Adolfo Suarez (MAD). Your private driver speaks English and will be happy to help you with any questions you may have about the city. Please provide your phone number in order to contact you in case of any change or if your driver can't see you at the meeting point. In the confirmation you will also receive the 24/7 emergency number, and in case of any query please do not hesitate to contact us.